As one of the Eight Culinary Traditions in China, Fujian-style cuisine (Min Cuisine) is known to be light but flavorful, soft and tender. 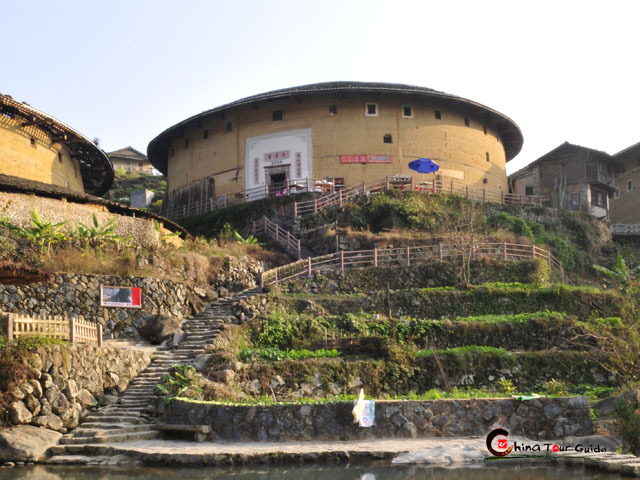 Fujian Food has much in comment with those in its nearby areas, such as Taiwan and Guangdong (especially the Chaoshan area). Fujian snacks are also very popular nationwide. Fujian Cooking features careful pick of cooking materials, knife skills, fire control, ingredients and seasonings. Seafood is abundant, and many ingredients come from the mountains. 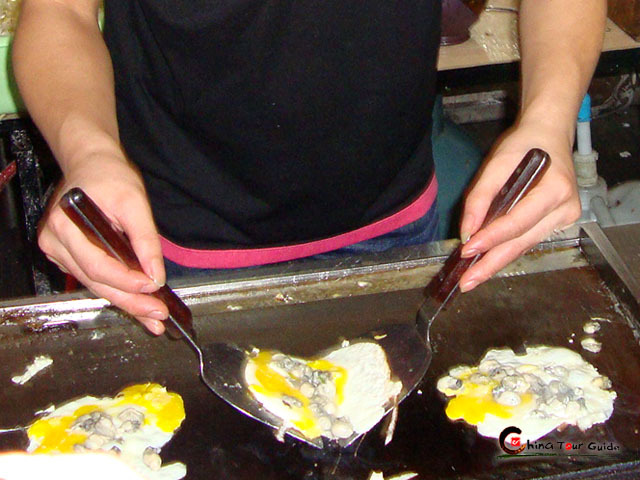 Unlike some other cooking techniques, Fujian Cuisine tends to retain the original flavor of the main ingredients instead of masking them. As for seasonings, fish sauce, shrimp paste, sugar, Shacha (Satay) sauce and wine lees are used commonly in Fujian food. 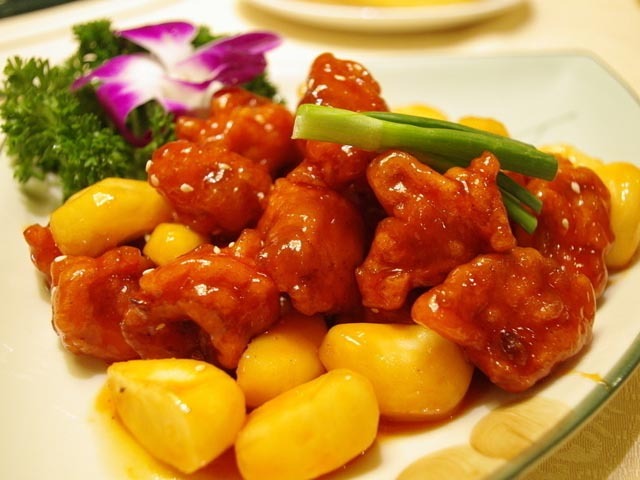 Fuzhou cuisine: It tastes lighter than other styles, and often with a mixed sweet and sour taste. Fuzhou cuisine is famous for its soups. Western Fujian (Minxi) cuisine: There are often slight spicy tastes from mustard and pepper and the cooking methods are often steam, fry and stir-fry. Southern Fujian (Minnan) cuisine: Spicy and sweet tastes are often found. And there is an elaborate selection of sauces. Quanzhou cuisine: It's the least oily but with the strongest flavor, with emphasis on the shape of the material for each dish. 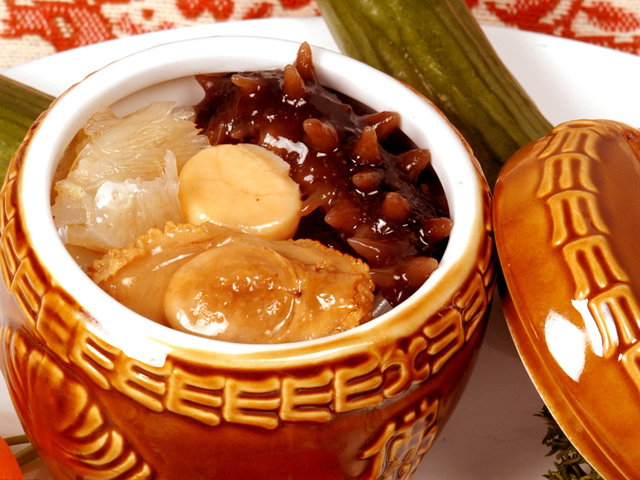 Fo Tiao Qiang (Buddha Jumps over the Wall): a complex dish making use of many ingredients, including shark fin, sea cucumber, abalone, and Shaoxing wine. Yanpi & Rouyan: Yanpi is a thin wrapper made with large proportions of lean pork. It's used to make Rouyan, a type of wonton. Oyster Omelette: Omelette with oyster filling. Also popular in Taiwan. 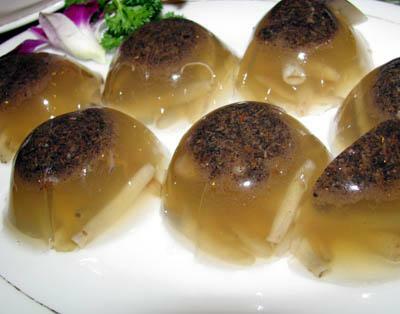 Tusun Dong (Sipunculid Worm Jelly): an aspic made with a species of marine peanut worm. 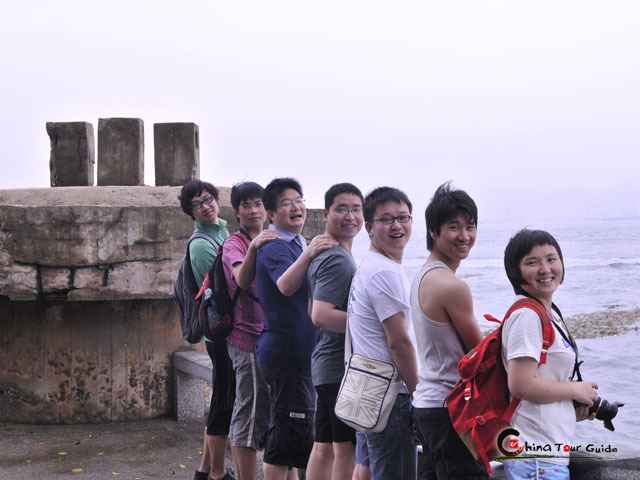 Especially famous in Xiamen.